Hue city has long been a famous attraction to many tourists for The Complex of Hue Monuments – a UNESCO recognized heritage site. 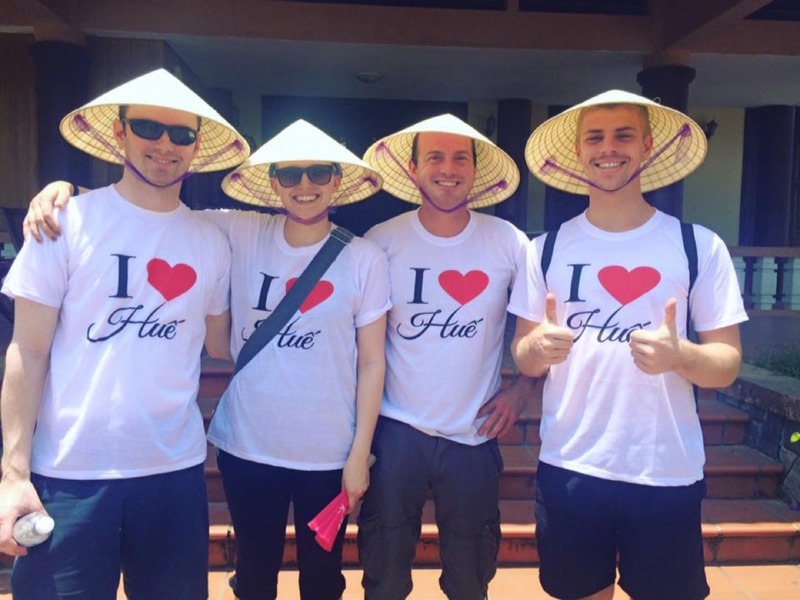 However, most of visitors typically only visit the Imperial Citadel as the most popular destination in Hue city. A lesser known side of Hue’s monuments are tombs and other constructions built for the leisure or sightseeing purposes of the royal family, which are modestly scattered on the suburban belt of Hue. 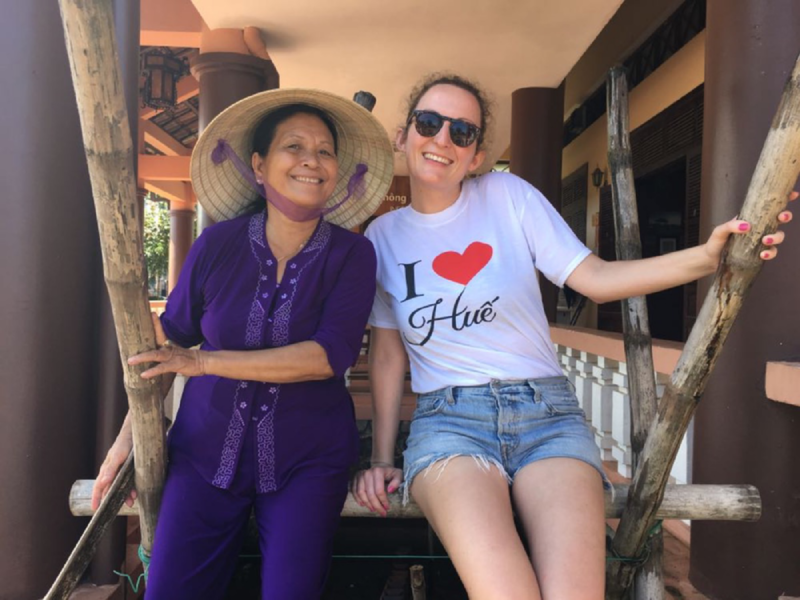 In this tour, on the back of a motorbike of a friendly local tour guide, you will be taken to the B-side of Hue, where you can see a different life of Hue people: a simple, rustic and quaint lifestyle and customs. 8.30 am: You will be picked up at the hotel and introduced about the program. 9:00 am: Start the day with a cup of salty coffee which is a pleasant twist of Vietnamese coffee. 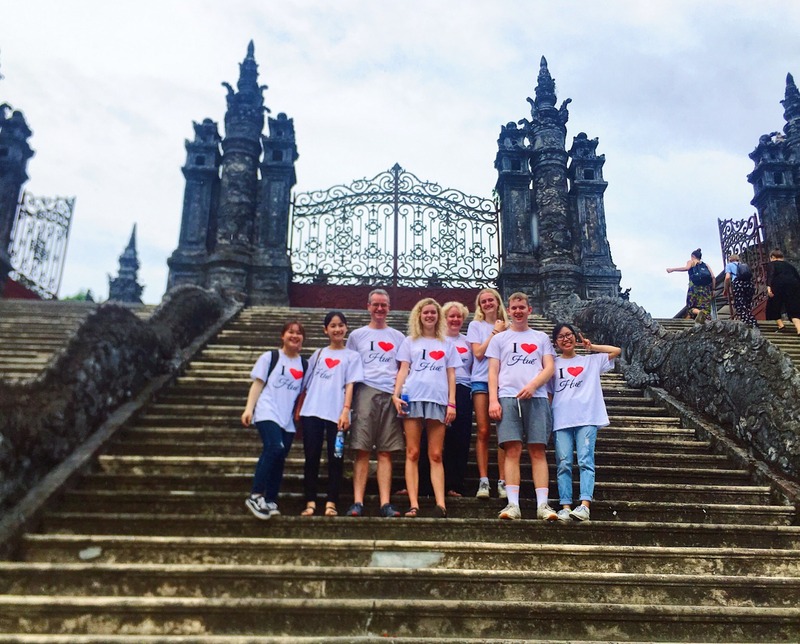 It’s also time for chatting and sharing with your local tour guides. 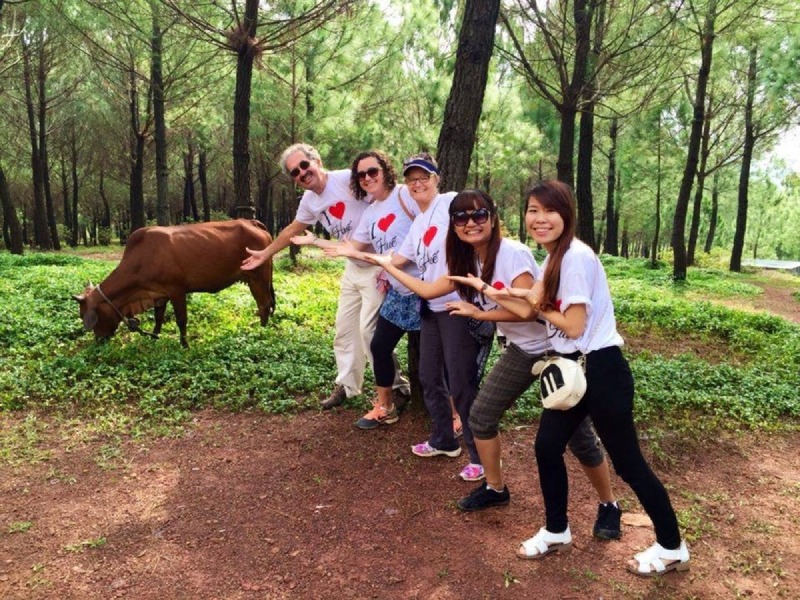 9:30 am: Visit Thuy Chanh village. 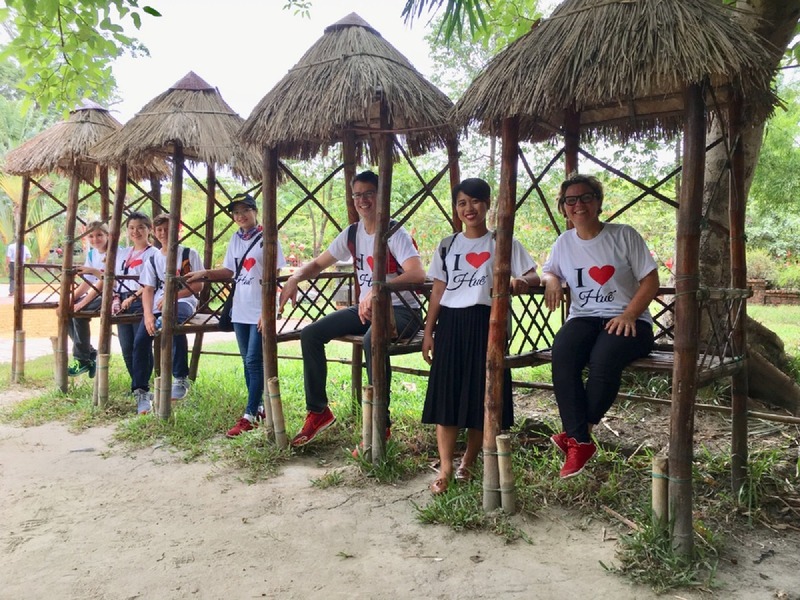 While grazing through the rice fields and the endless green lush of the countryside, you will also learn about the years-old Japanese-styled bridge. A boat trip following will a chance to enjoy the peaceful countryside scenery. 11:00 am: Visit the Lady Buddha Temple on Tu Tuong mountain, which is covered with the canopy of pine forest. This temple plays an important role in religious life of local people. 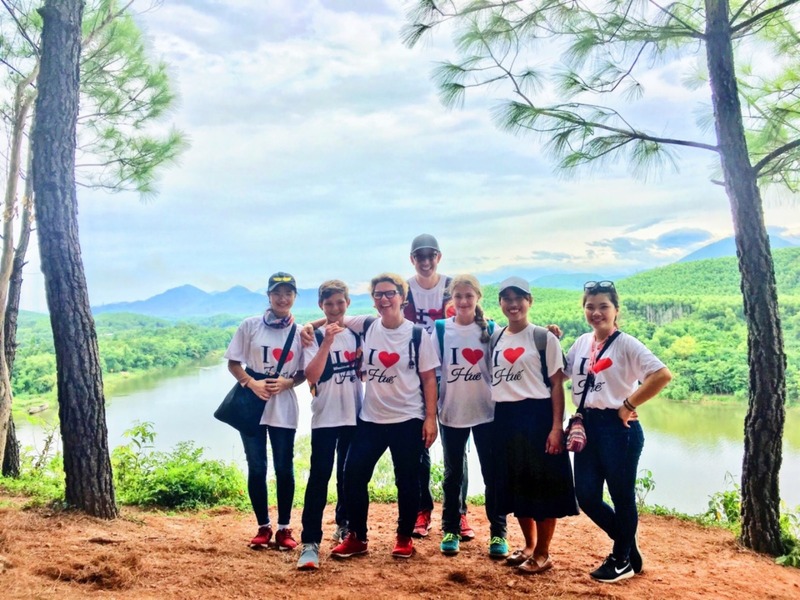 12:00 pm: One of the best way to take in the full scenery of Hue is visiting Vong Canh Hill. Winding along the curves of the hill’s foot is poetic Huong (Perfume) river. This place used to be the observatory and sightseeing point only for royal family. 1:00 pm: Last stop before lunch will be one of the most historic pagodas in Hue called Tu Hieu Pagoda. You will be surprised by its traditional architecture, which forms the Chinese character "Khau" and will go through centuries of history with the stela of the court and the various cults. 2:00 pm: Enjoy lunch in a vegan restaurant, an undetachable part in Hue daily life. 2:30 pm: End of tour. You will be dropped off at your hotel and say goodbye to your friendly local guide. 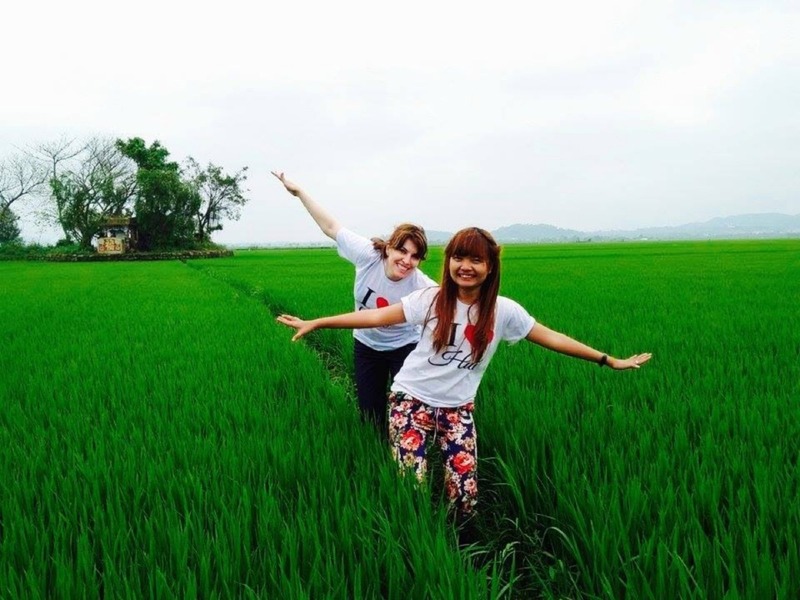 This tour is operated by young enthusiastic female local tour guide on the most common vehicle in Vietnam: motorbike. With this special business model, travelers are helping empower our young female students through job training and employment opportunity. For every tour, $2 contribution is made to a foundation for social and good cause projects.